"When the church embraces the responsibility of living as faith managers of God's vast resources [as Psalm 24:1 teaches], the community of faith will prosper." So begins this practical and theological study of stewardship, both in the context of the African-American church tradition and beyond. 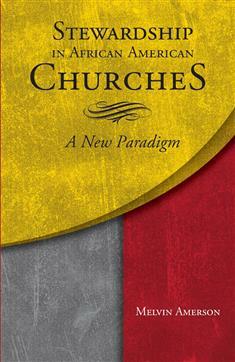 After all, a systematic approach to stewardship undergirds the ministry and mission of the church universal. While recognizing still-relevant traditions, he also points to newer tactics and strategies convenient to both members and congregations—including electronic giving, contribution statements, and year-end giving. A highlight of the book is Amerson's explanation of the development of a narrative budget/narrative spending plan. He also writes about stewardship education at multiple levels. This book is a solid resource for financial stewardship education.